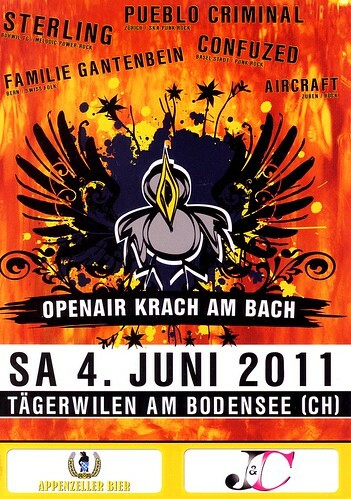 Openair Krach am Bach on June 4th! 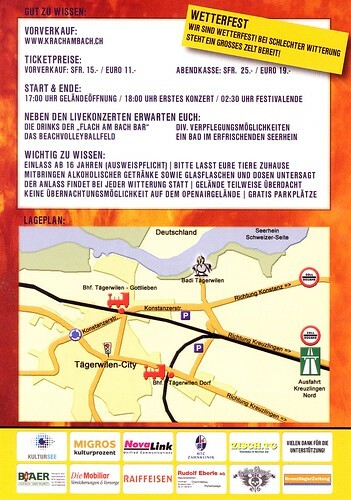 Pueblo is eager to play at the open air Krach am Bach next Saturday, June 4th in Tägerswilen! Especially because we will meet our good friends Familie Gantenbein and rock the same stage for the first time! We all count on you!